In a Facebook post, Tom Evans (Father) wrote: "Alfie has been granted Italian citizenship, we await for the Foreign Minister [Boris Johnson] to call. Alfie belongs to Italy." Hundreds of Protesters tried to storm Alder Hey hospital. The group named "Alfie’s Army" has lined up outside the children’s hospital in Liverpool to protest against the decision to end end his life support. Little Alfie's supporters tried to break through a police line into the hospital. The police had to hold back demonstrators. Eventually, the crowd retreated to gather around 100 yards away on the road outside, chanting, "Save Alfie Evans". 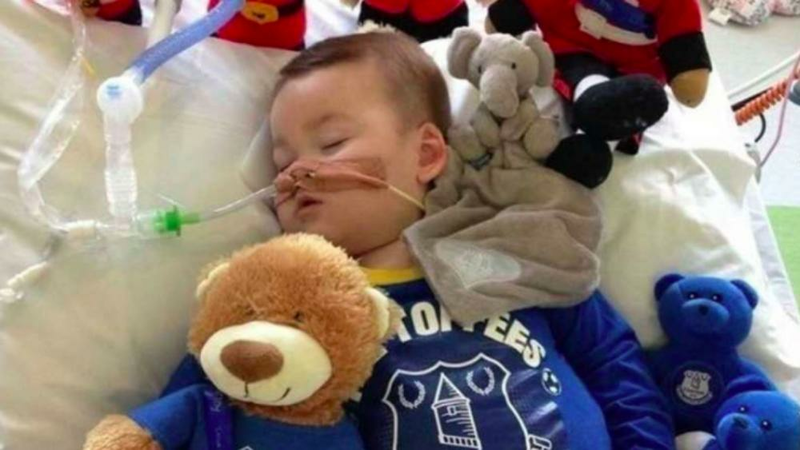 EU courts have rejected a “last minute” plea from parents Tom Evans and Kate James to remove Alfie from Alder Hey and have him treated at the Vatican hospital. The court ruled that doctors at Alder Hey could stop applying life-saving treatment to Alfie, against his parents wishes. 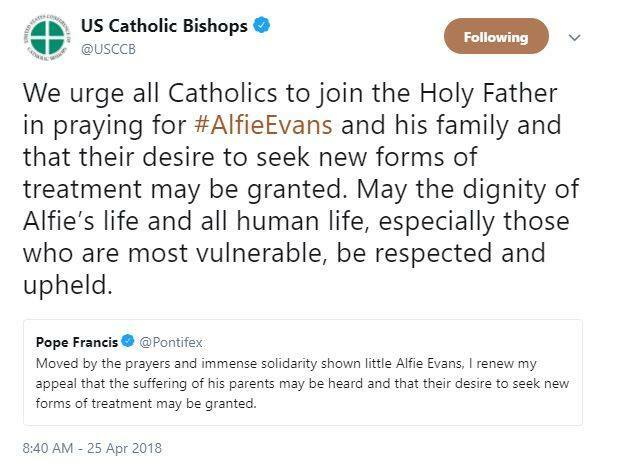 Alfie's parents had appealed to Pope Francis, who offered a place for Alfie and proper treatment. Alfie is in a 'semi-vegetative state' and the Court of appeal judges have ruled Alfie Evans cannot go abroad to receive treatment. The parents of Alfie Evans have lost the court case over Alfie's life. In fact, the courts have indicated that a chemical combination of Midazolam and Fentanyl will be given to Alfie when his life-support is removed. Alder Hey requested that only four people from the family be present when Alfie’s “extubation” takes place: his parents and two immediate family members. They say that a “priest may be present at any time”. The Vatican released this latest post on social media, Bishop Cavina said “Only the power of prayer is able to melt hearts and crumble walls that now appear insurmountable”.